Whether you’re looking for Michelin starred dining, American style steaks or a fabulous cocktail, Chester has it all. He’s now got award-winning crowdfunded restaurants Burnt Truffle, Hispi and the latest Wreckfish, but Gary Usher started it all at Sticky Walnut, his beautifully simple Chester bistro. He famously opened the doors on a budget so tight that had had to choose between a combi-oven and new tables and chairs. Of course he chose the cooking over the decor, and the cash was well spent on a Rational oven. It’s all rustic exposed bricks and wooden furniture, and looks none the worse for it. Dishes on the menu include the namesake starter which comes with roast beetroot salad, spiced pumpkin seeds and ricotta. Don’t miss the early dinner menus, which offers three courses for a great value £19. One thing all the best steakhouses have in common is an obsessive focus on meat and its quality – something the team behind Upstairs At The Grill take to a whole new level. Housed in the former Customs House at the bottom of The Rows on Watergate Street, this hidden gem took its lead from some of New York’s finest steak emporiums. The team work with their own butcher to source cuts based on breed, marbling, age and heritage, aiming to offer their guests the finest cuts this side of the Atlantic. Celebrating its 15th Birthday, the restaurant fuses a classic English Gentleman’s Club with a Manhattan speakeasy, with cocktails taking centre stage alongside their impressive range of steaks, seafood, and signature dishes such as the twice baked Stilton soufflé or the Arnold Bennet omelette. 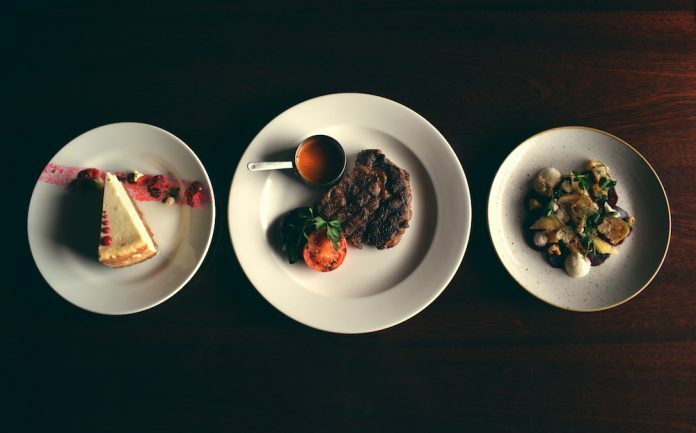 Diners can choose from a range of classic cuts such as Porter House, Delmonico and Bone-in Rib Eye or ring the changes with one of the more unusual steak selections such as fillet steak on the bone, Bavette, or the increasingly popular Flat Iron. The knowledgeable team guide diners through the various options from sirloins and rib-eyes to the USDA Rib Eye – a sweet, buttery cut imported from the USA and of course the classic Chateaubriand, from the head of the fillet and regarded as the ‘king of steaks’. Their range of classic sauces such as traditional Béarnaise and indulgent Cropwell Bishop Blue Cheese provide the perfect accompaniment. Don’t miss the triple cooked beef dripping chips with truffle oil and Gran Morvaria Parmesan. 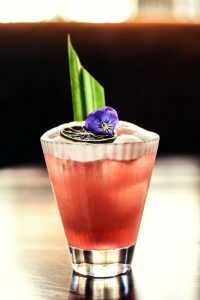 In true speakeasy style the drinks range includes home-infused bourbons, gins and liqueurs collected by the passionate bar team during their regular forays to some of the globe’s more unusual producers, including more than 80 gins. Storyhouse is a new public space in the heart of Chester – a theatre, library and cinema, home to a year-round programme of theatre and film, along with a host of activities across its public spaces. The restaurant is something special. 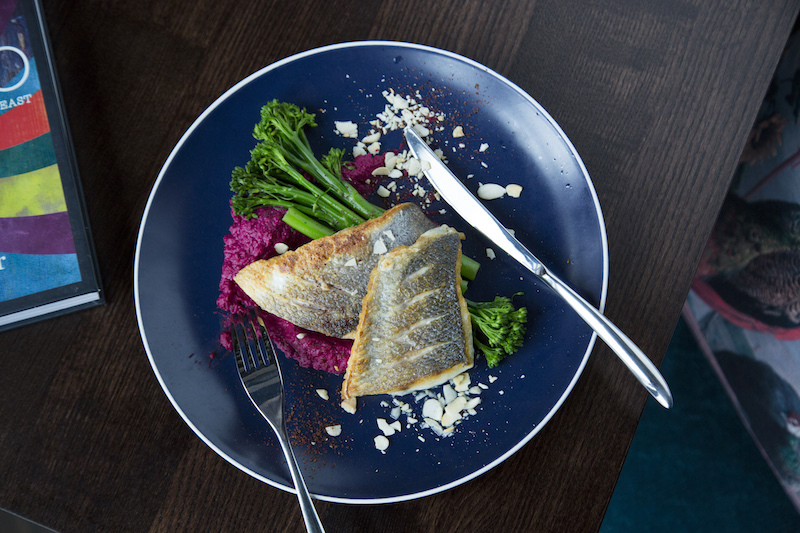 The Kitchen at Storyhouse offers daytime and pre-theatre dining seven days a week – with fresh, colourful, modern cuisine, inspired by the flavours of the Levant, made freshly every day. 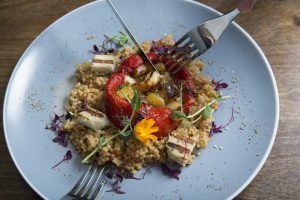 Don’t miss the creamy roast aubergine with pine nuts, tahini and shout (£6.50), sizzling sea bream with spiced almonds (£8) or Fattoush salad, with its sumac tinged tender gem lettuce with radish, cucumber, pita and tomatoes. Beautifully presented and packed with flavour, it’s a feast for all the senses, and quick to arrive, too. The main café bar in The Kitchen serves coffees, teas,wine, beer and spirits. You can take your drinks and food anywhere in the building, including the library, theatre and cinema – although drinks will need to be in a plastic glass to go in the theatre and cinema. The Kitchen serves locally-roasted coffee and a range of teas, pastries and cakes from 8am-11pm – grab a coffee and a book and settle down in a comfy chair. Bliss. The rooftop Garret Bar, part of the Garret Bar and Theatre, is a grown-up bar with panoramic views, open during main theatre events. 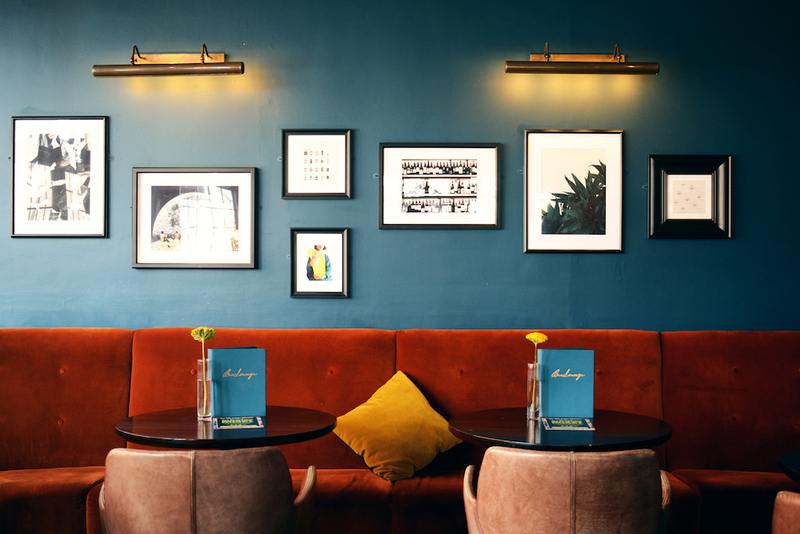 Perfect for pre-theatre and interval drinks along with serving events happening in the Garret Theatre. Storyhouse Chester, Hunter St, Chester, CH1 2AR, www.storyhouse.com, 01244 409 113. After 18 years, BarLounge Chester is still the place to be, at the heart of Chester’s buzzing social scene. BarLounge is beautiful all year round. Its famous covered terrace is the place to be in the spring, with plenty of comfortable seating, a gorgeous suntrap during the day and as the sun sets it’s perfect for a cocktail beneath festoon lighting and the trees alive with thousands of twinkly lights. As well as the drinks, there’s an excellent food offering, which oozes the best of British bistro style food with a twist. 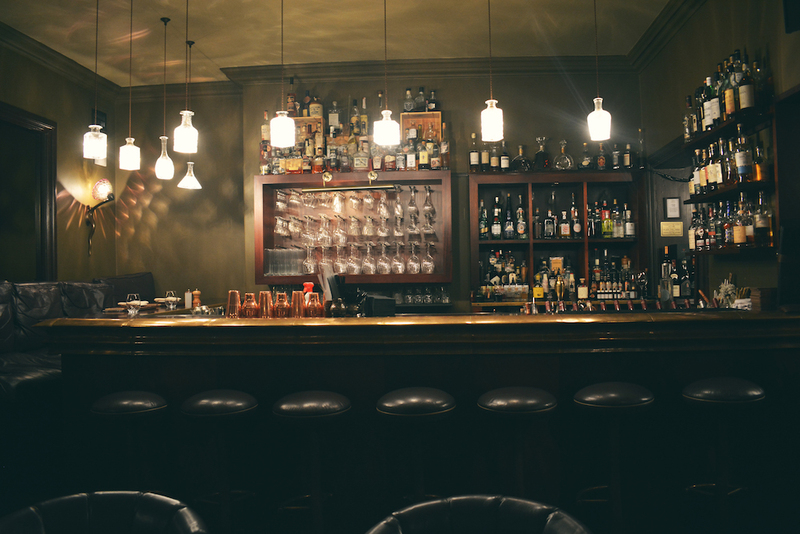 Known for its outstanding service, super knowledgeable bar team, and of course those showstopping cocktails, the venue has a fresh new look after a complete refurbishment last year. 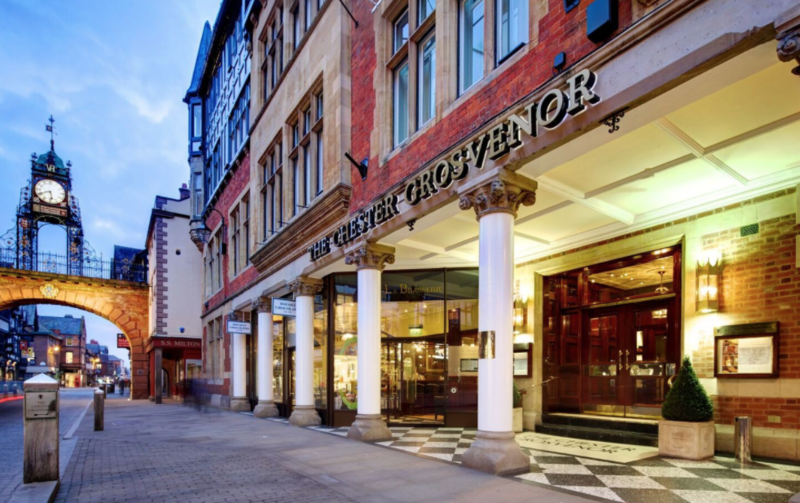 Simon Radley at The Chester Grosvenor has had a Michelin star since 1990, and its list of former kitchen staff reads like who’s who of chefs across the region. His tasting menus is well worth trying, or for a more relaxed feel, the 2 AA Rosette La Brasserie is a classic Parisian-style brasserie, with a striking hand-painted glass skylight. Their afternoon tea is a real treat, perfect for birthdays and special occasions.